As a Singer, Trumpeter, and all around entertainer James “Ajax” Baynard has been making people smile for years as the consummate performer. 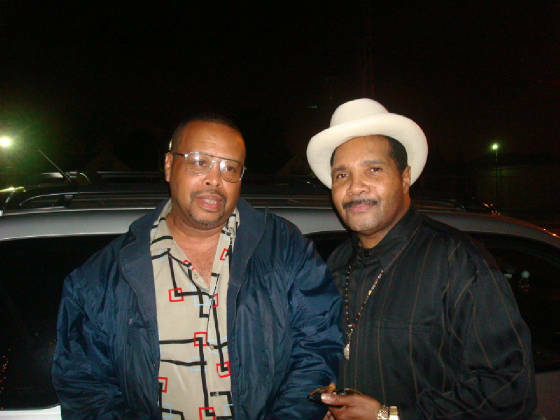 Ajax polished his skills while making many recordings in the 70’s and 80‘s with the Delite records recording group “The Crown Heights Affair”. __________________________________________________________ He has also made many secular records with such groups and artists as: Denroy Morgan (I’ll do anything for you), Jocelyn Brown (Somebody Else’s Guy), L.L. Cool J (Mamma Said Knock Out), and many others. ___________________________________________________________ Through the years, James Baynard has either performed or recorded music as a trumpeter, vocalist, or band leader with many acts such as The Fat Back Band, Wilson Pickett, Sam & Dave, & L.L. Cool J, as well as performing his own brand of entertainment with many others. ___________________________________________________________ He is also very active in the church community as a singer/trumpeter as well as being a computer administrator at the Presbyterian Church of St. Albans. ___________________________________________________________ He is a Life Long Musician who has either recorded with/for, or performed through the years with such artists as: CROWN HEIGHTS AFFAIR THE FAT BACK BAND L.L. COOL J. DENROY MORGAN SAM & DAVE WILSON PICKETT AND MANY MORE ___________________________________________________________ JAMES 'AJAX' BAYNARD CONTINUES TO PLAY AT MANY FUNCTIONS IN THE TRI-STATE AREA FOR VARIOUS WEDDING BANDS SUCH AS KEN JAMES ORCHESTRAS, NEW YORK CITY SWING, STEPHEN SCOTT ORCHESTRAS, SKY LITE ORCHESTRAS, AS WELL AS BEING A BAND LEADER FOR HIS OWN WEDDING ENGAGEMENTS AND PRIVATE PARTIES, ETC. ___________________________________________________________ HE IS A BAND LEADER/ENTERTAINER / TRUMPETER / VOCALIST FOR ALL OCCASSIONS. ___________________________________________________________ JAMES 'AJAX' BAYNARD WAS RECENTLY FEATURED AS AN ACTOR/VOCALIST IN A RECENT PRODUCTION AT YORK COLLEGE, QUEENS, N.Y., IN CONJUNCTION WITH THE PRESBYTERIAN CHURCH OF ST. ALBANS IN THE SCOTT JOPLIN OPERA ENTITLED " TREEMONISHA", WHERE HE HAD A FEATURED ROLE. 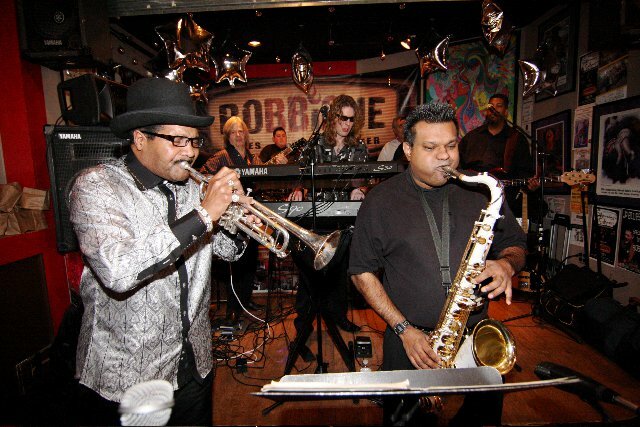 AS A LONG TIME CHRISTIAN BROTHER, JAMES 'AJAX' BAYNARD PERFORMS ON A REGULAR BASIS AT VARIOUS CHURCHES AND CHRISTIAN FUNCTIONS THROUGHOUT THE TRI-STATE AREA EITHER AS A TRUMPETER WITH VARIOUS CHOIRS, OR AS A GUEST PERFORMER IN HIS OWN RIGHT WITH EITHER LIVE MUSICAL ACCOMPANIMENT OR MUSIC TRACKS. ___________________________________________________________ JAMES 'AJAX' BAYNARD HAS ALSO HAD THE PRIVILEGE OF PERFORMING AS A SPECIAL GUEST ARTIST AT A RECENT 'UNITED NATIONS' STAFF DAY CONCERT IN NYC. ___________________________________________________________ HE CONTINUES TO BE BLESSED WITH HIS MANY GOD-GIVEN ABILITIES.